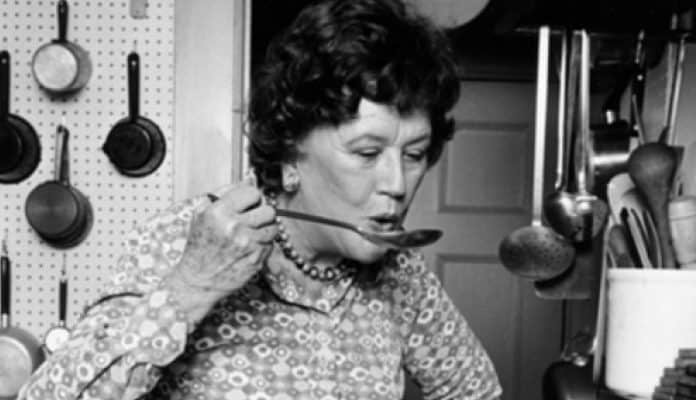 You may already know Julia Child from her TV series on PBS called The French Chef, or her bestselling book, Mastering The Art of French Cooking. She was well-loved for her positive attitude about attempting to cook complicated recipes despite not having very much experience. Most people looked up to her as a role model for learning how to cook French cuisine. However, very few people know about her life before she was a celebrity chef. Believe it or not, she was an agent for the OSS, which was the precursor to the CIA. She spent years of her life traveling around the world as a spy for the US government. She moved to New York City in hopes of getting a job at one of the major newspapers or publishing houses. After applying to several publications, she was rejected. Julia began copywriting marketing materials in a public relations firm, instead. By the time she was 30 years old, she was already sick of the job. She was not married yet, either. By 1940’s standards, she was becoming an “old maid” with little hope of finding a husband. Julia decided that she wanted to completely change her life and start over. After the US entered World War II, Julia wanted to offer her services by enlisting in the US army. She said, “World War II came along, and you realized that you were saving the world. Everybody that I knew was in the army, or navy, or down in Washington. So that’s where I went.” She enlisted in the Women’s Army Corps, but she was rejected for being too tall. Standing at 6 feet 2 inches, she was far too tall for any of the female uniforms or facilities that would have been available to her. So she decided to enlist in the Office of Strategic Services (OSS) instead. This was the precursor to the Central Intelligence Agency- better known as the CIA. Julia moved to Washington DC to work for the OSS under General William J. Donovan. There were 4,500 women who joined the OSS at that time. Like most of the other women, Julia was given administrative tasks by typewriting top-secret messages on small cue cards to file away. She later said that since she could not speak a second language, and she did not have any particularly special skills to offer as a spy, her only option was to help filing paperwork. But this was still far more exciting than any other job option she had waiting for her back at home. It was also a huge improvement compared to her copywriting gig in New York. Working for the OSS wasn’t just an improvement in her professional life. It also completely transformed her personal life for the better. Julia met her future husband, Paul Child, in the OSS. They worked together, and fell in love. Paul was born and raised in Montclair, New Jersey, which is an affluent suburb near New York City. He was raised with a sophisticated array of cuisine from around the world. Basically, he was a major foodie, and he introduced his love of food to Julia. They traveled around the world together doing this spy work. An entire book was written by Jennet Conant about their adventures, called A Covert Affair: Julia Child and Paul Child in the OSS.